Veneers have myriad applications in Juno Beach cosmetic smile dentistry. With dental veneers, you can transform your smile without significant restorative dental work. Is your tooth enamel worn and thin? 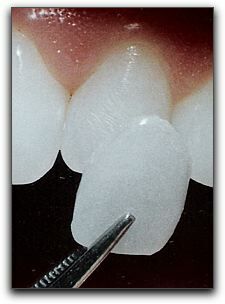 Tooth-colored porcelain veneers have the translucency of healthy tooth enamel. Many Palm Beach Gardens dental clients have received veneers to cover worn enamel. Some believe they look twenty years younger! Have your teeth developed uneven edges? Tooth grinding, natural wear and other factors can roughen tooth edges. Veneers are a minimally invasive correction for uneven tooth edges. Veneers are a popular treatment for Palm Beach Gardens cosmetic dentistry patients. Veneers are strong, natural looking and one of the most affordable cosmetic dentistry procedures in Palm Beach Gardens. Veneers are usually far less expensive than complete dental crowns, yet they are just as strong and beautiful. Palm Beach Gardens aesthetic dentists love veneers because they correct a multitude of tooth problems. At Weinberg Dentistry, we would be happy to show you what veneers can do for you. Weinberg Dentistry is located at 14050 US Highway 1, in Juno Beach. We provide premium dental care for many of your friends and neighbors in the greater Palm Beach Gardens area. Our phone number is (561) 420-0770. You can visit https://www.customsmiledesigns.com/meet-dr-weinberg for information about our honest and technologically advanced team and the types of services we provide.